For many years, practical qualifications and apprenticeships – referred to as ‘vocational’ education – have not been successful in helping young people get the secure jobs they want. After finishing school, some people choose to continue their education or training. But for many years, practical qualifications and apprenticeships – referred to as ‘vocational’ education – have not been successful in helping young people get the secure jobs they want. 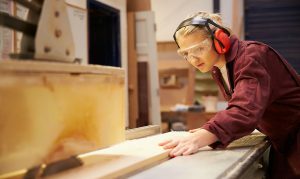 In 2011, the Department for Education asked Professor Alison Wolf to investigate vocational education in the UK, and recommend how to improve it for future generations. Professor Wolf used information from Next Steps to show that your generation was actively seeking work, but that around a third to a half of you struggled to find appropriate courses and jobs, and as a result changed occupations frequently and spent periods of time not in work, education or training. Based on these findings, Professor Wolf was able to make 27 specific recommendations of how to improve practical education and training opportunities for young people that will help them to get jobs with good opportunities for progression. Click here to read the full report Review of vocational education: the Wolf report on the government website. In February 2015, the Government published a report on its progress against the Wolf Report recommendations.